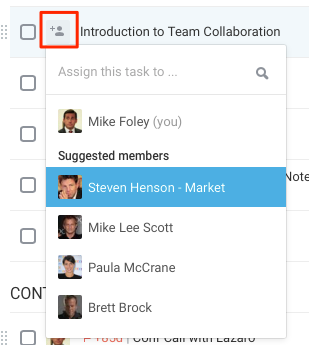 How to assign a task to a teammate? 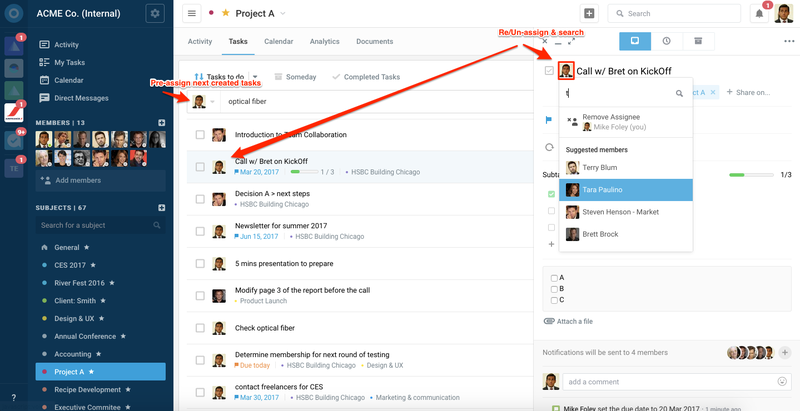 There are multiple ways to assign a task to someone (listed below) or to add followers to a task that will receive updates from this task. Assigned to a teammate (default when creating from a user profile tasks page), or if you pre-select an assignee when creating from a subject's page. 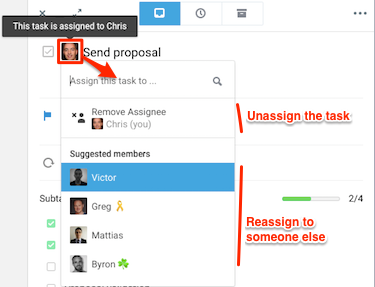 The assignee will get notified instantly and the task's border color will change to show you're not assigned with it anymore - though you remain subscribed to it. You are still Subscribed to that task so you get notified when someone who has access to this task comments on it or marks it has completed. Where can I see the tasks I assigned to others? 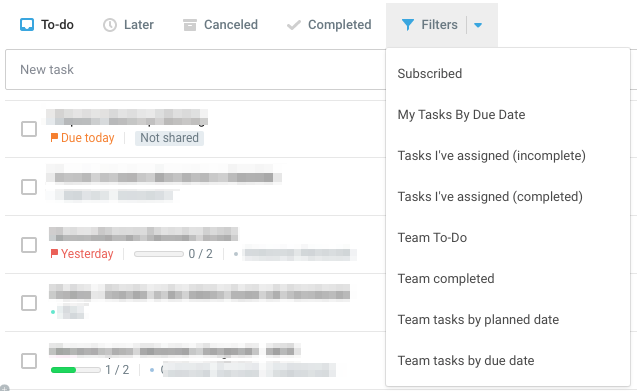 The tasks you assign to others are no longer listed in your My Tasks (Now/Later/Canceled/Completed) tasks lists. Can I assign the same task to two people? If it is 2 times the same action that need to be completed by 2 people, then you can create and assign 2 separate tasks (one to each of them). You can make a copy of one the tasks to speed up the process. If you want different people to work on a single task you need to assign it to the one person who leads it for now (like in a plane there is only one pilote at a time). All others will be added as Subscribers at the bottom part of the task's card to pull them into the task whenever needed and get them notified. 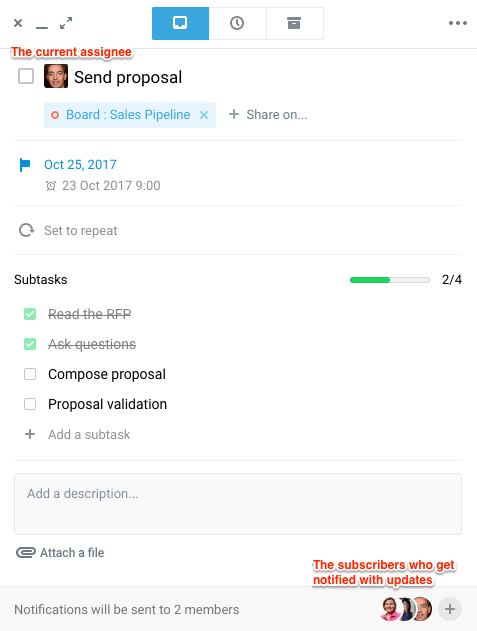 Another way can be to set up a shared "Mother" task where the different contributors can share progress altogether, and use Follow-up tasks that reference the mother task and assign each to the appropriate contributor so this part of the action is managed separately and appears in the assignees My Tasks (Assigned to me).